SEO tools are a necessary thing for webmasters. Using these tools, it is easily to identify the profile of a website among the web. Here are 18 free SEO Tools for 6 different uses. Google analytics is one of the best free analytics tool. Google analytics will track your daily visitors and the source they are coming from, visitors country, time on site, organic search queries, social activities and more. You can add as many website in a single account. You need is just copy paste some code from Google analytics to your website. Note – This code is essential to monitor your site and you cannot see any report while you didn’t place this code on your site. Google webmaster is an all-rounder! This is my favorite tool because it have a lot of features. Google webmaster doesn’t need any tracking code but it needs to verify your site by placing some code. It can show you your site health, crawl errors, search queries and their ranking by position, search queries impressions and clicks, backlinks, submit sitemap and more. Google webmaster is an essential tool. Like Google webmaster tools, Bing search engine also have webmaster tool. Most of options are same as Google webmaster. The different thing is bing shows data related to bing search. It is also an important tool because bing’s algorithm is completely different from Google. So you need to analyze Bing and Google separately. woorank is to check SEO score. It can show the SEO score of a website in a scale out of 100. The free usage is limited on this site. You can check one site and you need to go premium for more. Copyscape is a simple tool to check duplicate contents. You will get results while it detects duplicate contents for given URL. Copyscape also provide premium service. A premium account can notify you whether it detects duplicate entry via email. In Plagium the input is should be text and not URL. Hence you can find out whether the text is exist. You can search by simple/deep. You will get better result in deep search. Advanced options like language, relevancy are also possible in plagium. It supports up to 25,000 characters. PlagSpotter is a duplicate content checker, which can display matched content in percentage. PlagSpotter will display each website that match your content and number of words that are matched. PlagSpotter also offer premium service, but you can check duplicate content for free. Open site explorer is a great backlink checking tool. 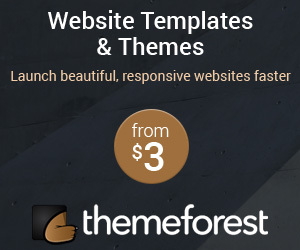 You can compare your website with other four website. If you doesn’t want to compare, just enter your domain and explore your backlinks. In result page you can see Domain Authority, Page Authority, backlinks with dofollow/nofollow, anchor text and more. For more features like social sharing should need to go PRO. Ahrefs.com is an another site to check backlinks. The reports are limited for the quest users. So this site needs an account to get more report. Its free to sign up. Backlinkwatch.com will show you almost all backlinks that are linking to your website. Backlinkwatch will show total backlinks, anchor text, NoFollow or DoFollow, outbount links and pagerank of that webpage. Google AdWords is one of best and widely used free keyword tool. More than keyword you can filter result with website, its category, location, language and devices. In the result section you can see keywords competition, global and local monthly searches. If you find any exact keywords, you can select “show more like this” and you will get much better result. An online tool to get keyword suggestions. You can get more relevant result by selecting languages and type of search such as web or image or video. It also shows similar keywords while click on each one. Keywordspy is a great tool which have a lot of options. Keywords can be search with in country. While the result appear you can see a lot of sections in it. In overview section you can see PPC Advertisers, CPC and Search Volume. This CPC and Search Volume can be view by each related keyword in the result. In Competitors Overview section you can see PPC Competitors and Organic Competitors. And more features are available on this site. Premium service is also available for more features. SEMScoop is a smart out of the box keyword research and serp analysis tool for digital marketers, bloggers, and small businesses who are interested in improving their site’s overall ranking. It can help find true ranking opportunities & low SEO difficulty terms to create smart and competitive contents. 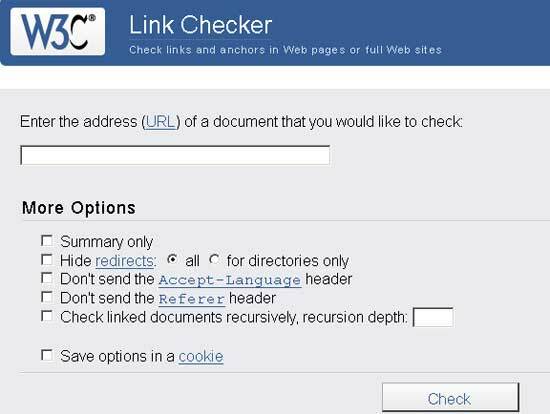 W3C Link Checker is a great tool to check links. This tool will check broken and redirecting links. It also show you description and you can easily find solution. Link Valet is a free tool to check broken links. It will check all links in the given URL. You can see the status of each links in the result page and hence you can see broken links. Link Valet can display all status like redirecting, broken, bad request and more. 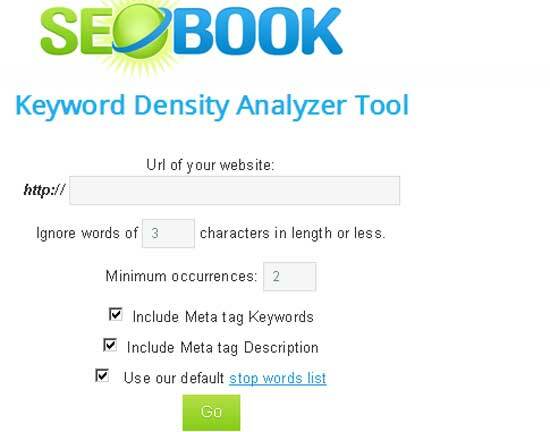 This tool is very useful to find keyword density. After you entering your website URL you can include meta tags if you want. In the result page the keywords will be divided as one, two and three phrase keyword. And in each of these you can see keyword with its count and its density. 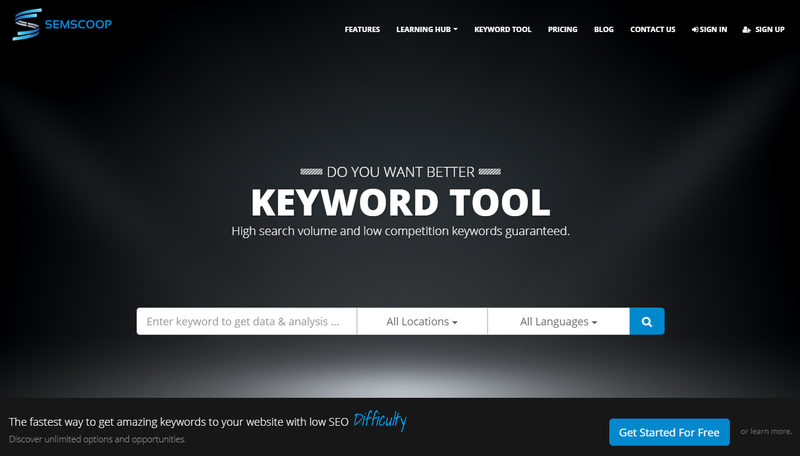 Keyworddensity.com allows to compare keywords with two websites. After entering two URL and keyword, total count and density of both websites. Keywords will be count from title, meta tags, text, image alt, URL, links and more. All of these can be view separately. Thanks for giving nice information on available free seo tools in online. These tools are helpful for us to improve our knowledge. Keep on updating. Thank you once again . I have read that the websites like which gives you ability to check Copyright Content also steal your texts…..Is it right? because i only read it on few forums….I know Plagium and Copyscape are reliable sites but can we trust other like these too? Some sites may give wrong information. So we can’t trust every sites. Just look up site’s popularity and reviews. thanks for the info , i really found the backlink watch and ubersuggest helpful . Hi Rahul, thank you for your nice post. I think I will be checking on some of the sites you advised for SEO optimization. Hopefully, this will work for me as well. This site very nice and really helpful.